Do come in and have a look around. Are you a family member or a friend? If so, it would be really nice to hear from you. Please leave me a message or drop me a line by e-mail. 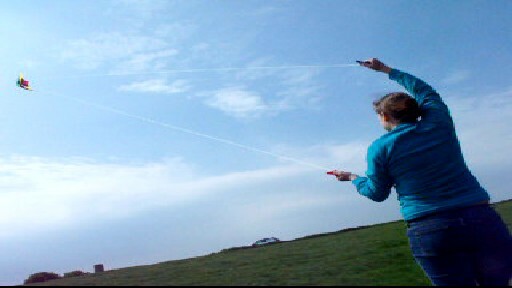 May 5th 2011: Flying a Kite on the Isle of Wight. We took the kite out for a fly on on some high hills! See a short video of the fun! March 31st 2011: Help me make a movie,"Where's Kate". I've written a short script which I would like to turn into a short 3 minute movie. If you're interested in taking part, especially if you're an amateur actor/acrtress please get in touch.You can read the script here. This is a completely amateur production and will be shot on location in Cambridge either on a Saturday or Sunday or if needed both days. The resulting film will possibly be uploaded onto YouTube and/or Facebook and possibly entered into competitions. I'm doing this for the experience and also because it will be fun. Actor male : Tom : 25- 30'ish looking. Actor male : Oliver : needs to look about 18. Actress female : Shirley : Early 20's; perhaps a bit posh looking. Actress female : Kate : late teens to late 20's; a bit more wordly wise. Runners - general people to help carry stuff, call out lines, etc. So, if you're interested in movies and perhaps making one. Please get in touch! December 1st 2007 : A month in 20 seconds. A quick (20 seconds) look at what we've been doing in the last month or so. A Month in 20 second movie. August 20th 2007 : European Driving Holiday. 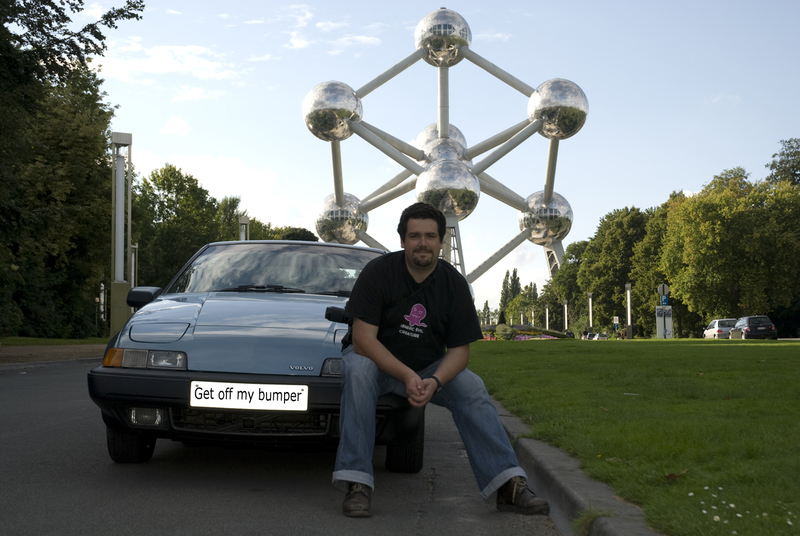 We recently went on a European driving holiday visiting some friends and relatives in Holland and Germany before returning through Belgium! See our route! We did 1700 miles in a second hand Volvo 480! Not bad for an eighteen year old car! See me outside the Atomonium! November 26th 2006 : New Happisburgh Sea photo's. It was a cold and blowy morning in early November when we woke up in a little hotel at 'Bacton on Sea'. It wasn't bright, but it was early! Six am to be exact. We took a short drive and found this dark crashing sea front and decided to take photo's as the sun started to creep into the sky. Pictures taken on the sea front between Happisburgh and Eccles on sea. Gained access via Cart Gap Road. See where on google maps. July 2006 : Sea-Kayaking in Wales : See the (6mb) video (approx 4 Minutes). Urlse and I had a go at sea kayaking in Wales! Sept 2005 : Cycling to Hull : See the entire (48mb) video (approx 17 Minutes). A friend suggested that he would ride to Kingston upon Hull for the 'fun' of it. So I quickly invited myself along certain in the knowledge that my experience in long distance cycling would come in very handy. I took the video camera along to keep a log of the highlights and keep a record of our excruciating agony. Dec 2005 : Briton attacked by German snowball fiend : See the startling (1mb) video. Level Editing in Counter Strike - I started experimenting with level editing (using WorldCraft), see some screen shots of my first attempts.